At the end of October 2011 Facebook closed the discussion boards of online games so the discussion board referred to here no longer exists. A great shame since this was a major part of the game for serious 'TOT'ers. The alternative, the support pages at The Learning Company, leave a lot to be desired. The solution would be for someone to produce a game forum to re-create the discussion board. I doubt if I would have the time to create it and moderate it. Any volunteers? You'll have much more success if you use the discussion board to help you play and take part in the TOT community. You can find the discussion board here. There's also a second, not so well used board, here. Use the discussion board to get help if you are stuck. Got a question which isn't answered on this site? Ask it on the discussion board. You'll find lots of nice people go there who will be happy to help you. 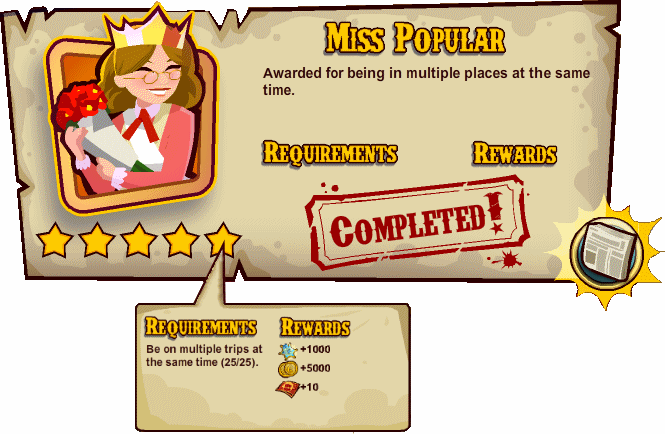 Use the discussion board to help get the 'Miss Popular' achievement. Post the message to your wall. You can do i and ii repeatedly but you MUST click the newspaper to get a fresh post each time. Open your facebook wall page, find the post/s you just made and right click the link at the bottom right of the post. Choose to copy the link address. 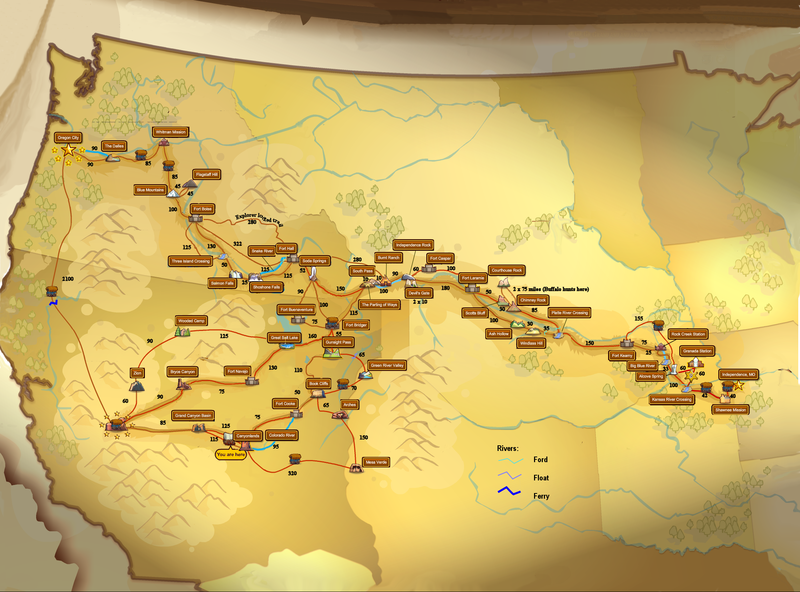 Post that link address to the latest stamina, food, wagon repair, coin or experience point thread. Repeat steps i - v for each separate post you made to your wall. The process for posting XP boosts is slightly different. You can only make one post from each destination, worth 5 or 6 XP. At Oregon City you can make multiple posts. These posts on your wall give no indication that there is a reward for following them. Coin boosts are not worth collecting unless you are at a trading post and short of coins or stopped and out of stamina. If you are free to move you can probably pick them up from the trail faster. 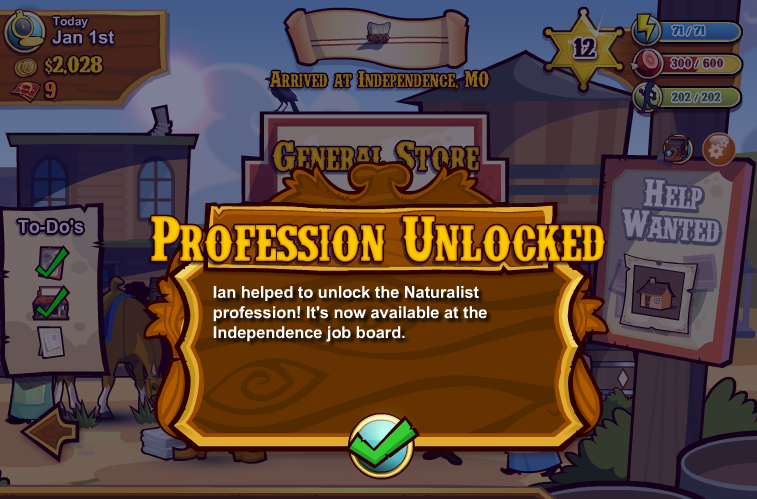 There is no clue from the 'Explore the Oregon Trail' link that it gives you an XP boost. 5 XP or 6 if you have a teacher in your team / have the officer's coat. 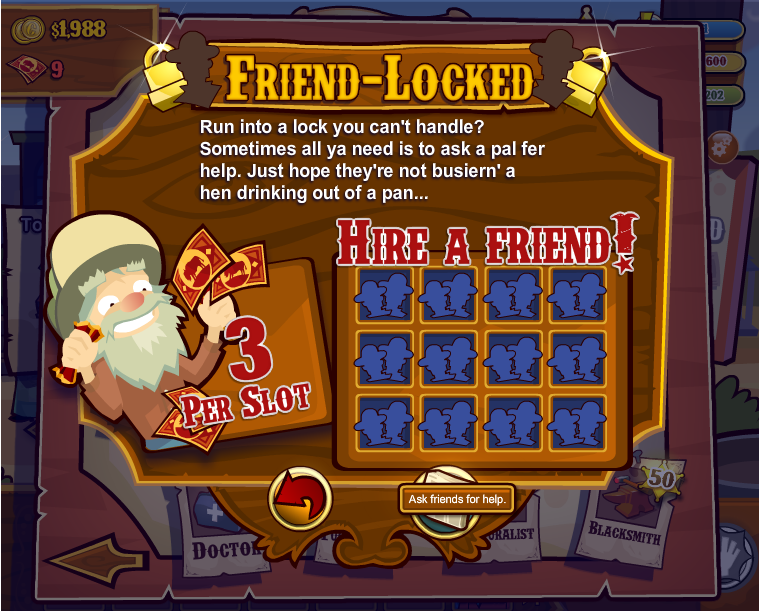 The health boost only applies to the wagon master so it is at its most useful if all your team have died. The Native american Trader post is downright confusing. It offers a repair boost and a speed boost from the link. Clicking it gives a message that you got a boost but I don't see any evidence of one. At various points in the game you'll come across trails, items or inventory slots which need unlocking. 5. Right click the 'Help and get...' link in the post you just made. DO NOT POST MULTIPLE COPIES! - only one will work and other copies just waste other people's time! 10. This thread won't work unless we all click each other's links! Please - make use of the 'Unlock Thread's. Don't make new, separate posts on the board just for your unlock. They rapidly clutter up the board and many people won't click them because of that. People who click your link get a small reward for helping unlock the item but they won't get a reward if it's already unlocked. This discourages them from clicking other links. To avoid this come back and click the 'Delete' next to your post if it is unlocked. The Miss Popular achievement is one of the hardest to achieve but offers one of the greatest rewards - 10 Trail Notes, 1,000 Experience Points (at least 1 level up) and 5,000 coins. To get the reward you need to be on the teams of 25 people all at the same time. It's something you are not likely to obtain unless you involve the discussion board. Look for the latest Miss Popular [Date] post on the discussion board. You should find instructions there for what to do to add your name to the bottom of the latest list (but they are also shown further down on this page). You'll also need to send friend requests to the top 10 people on the list. Make sure you include a message of 'TOT/Miss Popular'. WARNING - Sending more than 10 friend requests may get you blocked as a possible spammer by Facebook. You can add more at a later date. On your next trips, select the top 4 on the current list as your team members. You'll need to do that on every trip until you get the award. Doing so should give you one extra XP every time you earn it but even if it doesn't - you'll be moving your name towards the top. I find it's easiest to Ctrl click the top four to open their home page in a separate browser tab so that I can see their picture and compare it with the one in the team selection list. Then you wait. Your name will slowly move up the list as new people are added and those at the top are removed as they achieve the award. This can take 2-3 weeks or more. Once you get to the top 7 of the list you should make sure you travel as a teacher on each of your trips until you achieve the award. Traveling as a teacher gives people an incentive to use the list because having a teacher in your team earns you extra XP. It also helps if you have messages enabled in your Facebook privacy settings. You'll find, when your name gets to the top 10 in the list, you get lots of friend requests. It's important that you accept those with a 'TOT/Miss Popular' message. If you wish, create a list of these new friends and delete them once you have the award. Once your name gets to the top 5 you should quickly get the Miss Popular award. Post a message back on the list telling everyone you have the award. This makes it easy for the next list poster to delete your name from the top. Even though you have the award, keep coming back to the list and select someone from the top 5 for your team - they are likely to be a teacher! too long and goes onto a second page it will be re-posted by someone. sure you have the correct people by looking at their profile picture. top anyone who has achieved the Miss Popular award. f) When your name gets to the top four you should quickly get the Miss Popular achievement. Come back and let us know you got it so the list can move up. top 7 slots. That way people adding the top 4 get the reward of extra XP. to keep the thread short.